Dino is a little dinosaur that eats grass and lives in the green land of the woods, while the dinosaurs of the red earth eat meat. Dino goes with his friends to swim in the nearby red earth lake without taking his parents' permission. Suddenly, a large dinosaur from the red earth attacks them. 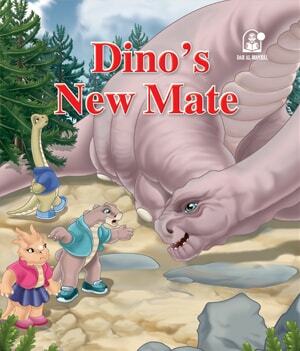 Will Dino and his friends survive? This is what you will discover when you read the picture story وحش البحيرة . 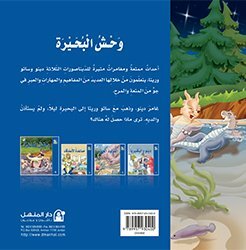 وحش البحيرةis an expressive story of the series مغامرات دينو offered by Dar Al Manhal. 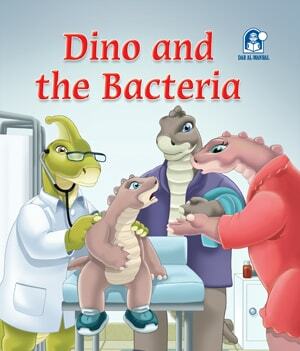 It includes four short stories for children where they live an adventure with Dino, the dinosaur, and his friends.